May the 16th is historic. It will go down in the annals of history that it was the year when Southerners said enough was enough. It is the day Southerners took up arms against the minority clique regime in Khartoum. It was in 1983 when Southerners expressed their anger publicly against economic, political and social oppression and suppression by the Northerners. Our resources were exploited by the Arab North to develop it. Our resources were looted in a broad daylight with the connivance of some sell-outs. 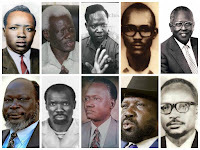 On this occasion and at this juncture, I would like to pay special tributes to Colonel Dr. John Garang de Mabior, Major William Nyuon Bany,Major Kerubino Kuanyin, Capt Salva Kiir Mayardit, now General Salva Kiir, the President of the Republic and Capt David Riek Machuoc Mum for,without their bravery, valour and resilience,it wouldn't have been possible for us to reach where we are today. As you are all aware, some disgruntled Southern politicians, decided to conspire against us in collusion with the Arabs through financial briberies and reward for non-lucrative positions to deny our rights in all domains. You could recall that the 1983 Movement started with few gallant officers but later joined en masse by students, peasants and many others. It became a formidable force to be reckoned with. My special tributes also go to the fallen officers, NCOs and men from 1955 to 1983. I could not believe that the spirit of brotherhood and comradeship we have had could just wither because of power struggle and wealth. When Southerners differed in 1983, they reconciled in 1987, when it happened in 1991, it was resolved with 2002 Nairobi Declaration. 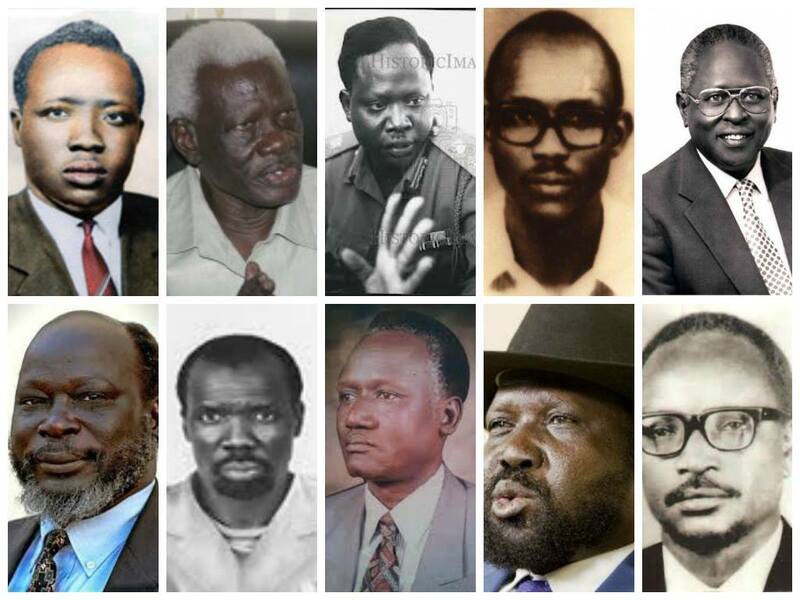 Inter-communal conflicts were ironed out in People-to-People Peace in Wunlit in 1999 between the Nuer and the Dinka. Why don't we sit now and hammer out the outstanding and sticking issues dividing us using those initiatives as the blueprints? Fighting ourselves is condemning our fallen heroes and heroines to eternal death, betraying their sacrifices and more importantly proving the enemies right that we can't govern ourselves. Finally, it must also be made clear that the first bullet was shot in Torit in 1955, the second bullet was shot in 1975 in Akobo. There were people already on the ground who started the war before 1983 at Bilpam and Pakedi. The war of liberation did not start in 1983 but it was a continuation. I don't deny that the credit goes to the SPLM/A now under the leadership of General Salva Kiir Mayardit as they achieved the final goal of an Independent sovereign South Sudan.